Biblical Studies and Technological Tools: Kevin Purcell on "10 Ways Your Bible Software Needs to Improve"
Kevin Purcell on "10 Ways Your Bible Software Needs to Improve"
Kevin Purcell on his Theotek by Kevin blog has posted an excellent critique of ten ways he thinks Bible software needs to improve. He has deep experience with all the major Bible software options, so his observations are well-founded. I'll add some comments to his observations based on my use of Accordance, BibleWorks, and Logos. Better Bible Software Touchscreen Support: I agree! Using my 10" tablet without a mouse, I know exactly what Kevin means by having buttons and icons too small to touch with big fingers. BibleWorks is probably best in this regard, because it offers easy option for screen scaling including adjustment of the toolbar size. It's also a handy feature that I use when projecting the screen in the classroom. Get My Notes Out of Your Silo: I've used BibleWorks the longest, and one of the things I appreciated from the outset was, as Kevin notes, that all the user notes are saved in RTF format which can easily be opened in any word processor. (The BW files use the BWW file extension for use in the program, but they are truly just RTF files.) The real issue here is if your Bible software should crash or cease to be supported at some point. You don't want your notes all locked inside the program. I have not done much with notetaking in Accordance or Logos, but I've found it to be less intuitive, and they are not open in the way that BW notes are. Sync Notes and User Content Between All Platforms AUTOMATICALLY! : Yes, and Logos really does the best job at this. They use their own server, and when I move from home to seminary system, everything is just as I last left it. Accordance is using Dropbox as a middleman, and it mostly works, but it is has not been totally reliable for me on my Windows systems with various screen resolutions. Kevin also notes how Accordance requires the user to be sure to save and sync notes. BW automatically saves notes, but it does not have a syncing option at all. What I have done that accomplishes what I need is to use SugarSync to sync up all my notes, searches, databases, etc. This works great, but I cannot sync up the layouts in BW since it depends on system paths and screen resolutions. Reduce Clicks for Simple Tasks: Reducing clicks is a good goal, but there often is a tradeoff. I can do many tasks most quickly in BW using the command line, but that's because I'm so familiar with using it. For beginning users, the command line can be daunting, and that's where the step-by-step clicking in Accordance and Logos can be more intuitive. Tagged Bible Comparison Tool for Word Studies Within the Tool: One of the things I like for text comparison is to be able to export a number of versions into my word processor so I can have students markup and comment upon versions in view of the Greek. BibleWorks is the only program that can really handle this, and I have things set up so that with basically two clicks I can generate the kind of parallel in the graphic here. Within the program, BW really thinks in terms of verses, so their Browse Window shows whatever versions you want all in the one window with access to all analytical tools. (And BW further is notable for the many worthwhile versions included in their base package.) What BW lacks, however, is the kind of reverse interlinear coding that allows one to see quickly how words are translate across a number of versions. Accordance and Logos are good in this regard with versions that have such coding. (ESV, NIV, NRSV, Lexham) Accordance does this either with the interlinear view or by adding a parallel to a window, and all analytical resources are available. In Logos, it can be done with various linked windows or by using the Multiple Resource view. As Kevin notes, Logos has a nice text comparison tool with either horizontal or column layout, BUT it loses most of the analytical tools for studying the text. While the text comparisons and interlinears are exportable or copy/paste-able in Accordance and Logos, you have very little control over how it will turn out. What do I regard as ideal? BibleWorks ability to export what I noted above is critical. For viewing multiple versions in parallel, the BW display is sometimes useful, but it could be enhanced with cross-version sympathetic highlighting. The Accordance layout is most helpful for seeing a verse in context with sympathetic highlighting. Create Books Without Programming Language and Sync My User Created Books to Mobile Devices and Other Computers: I haven't had much need for this, but I have appreciated the contributions of others. 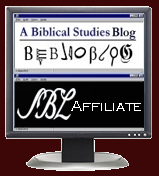 BibleWorks is probably the most open for allowing the creation of new resources, and there are a ton of excellent resources on the BW blog. BW10 also created a way to easily import epubs into the program. Accordance has quite a bit of shared material on their Exchange. Logos offers shared resources in the FaithLife group. Export Books to Kindle, Word or PDF: As Kevin notes, this is more of an issue of licensing, and I don't do much with this. Thanks to Kevin for the insightful post that actually had 11 ways (I combined two into #9) to improve Bible software.